Armstrong Bell the telecoms specialist has been called in to unravel the effects of make do and mend for the UKs leading LED lighting company. 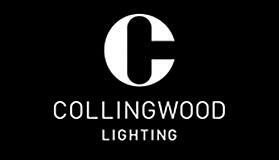 Collingwood Lighting supplies LED systems for bars, clubs and domestic installations and operates 3 brands from its Northampton head office, with a call centre which provides sales and support to end users, electrical wholesalers and its own team of sales representatives. The firm were exasperated after having outgrown a seven year old telephone system within just five years, despite several attempts to bring it up to scratch. 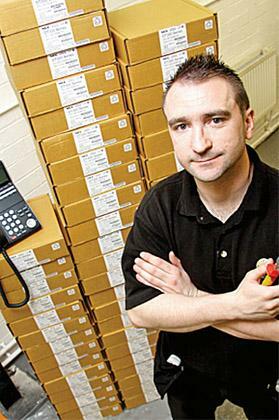 The Armstrong Bell solution was a new NEC SV8100 telephone system, Integrated with the MyCalls call management package. The call centre handles more than 2000 calls daily, more than half of them inbound. The MyCalls system gives the client applications such as call manager. This provides an overview of calls in real time, allowing the quick adaptation to changing conditions in any business. Call manager improves call handling by allowing the easy control of call queues, logging missed calls to follow up and enabling agents to log in and out of call queues at busy periods. Debbie Mackenzie, Collingwood Sales Manager said: “We terminated our previous contract early with our telecoms supplier as it was becoming less and less economic and it was increasingly difficult to maintain that system effectively. We got to a stage where we had to purchase telephones from an online auction site to fit our old system when we introduced new employees. 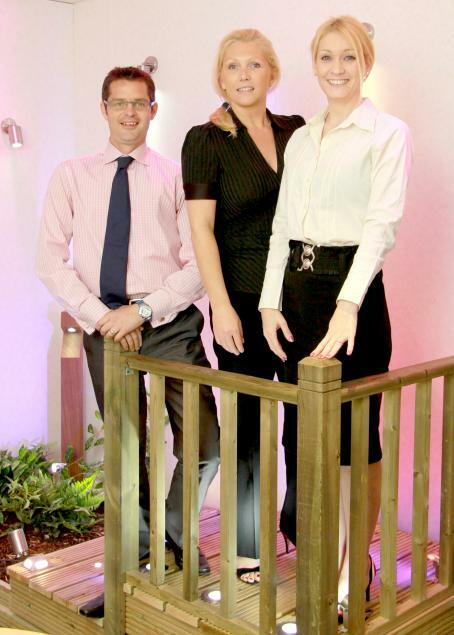 “With over 3000 live customer accounts, it’s important to know how well we’re working. The new MyCalls package has made everyone in the team more aware of what is needed to achieve our targets.” Lydia Byrne, Collingwood sales executive and team leader said: “The new system and all of its features are such a help, the new phones are more than fit for purpose! The reporting feature works so well as a management tool, the workload for all staff is now visible on screen, so we are aware of each other’s activity and can adjust what we’re doing accordingly. This feature also helps with appraisals and being able to quickly identify any requirements for training. It’s not particularly a supervisory tool, it’s more collaborative one, because in our offi ce we can all see an overall picture of what’s going on with the phones, minute by minute. William Copley, Armstrong Bell Managing Director said: “Collingwood is an example of their telecoms leaving a company on hold. The previous system had become redundant and couldn’t face the company’s challenges today, let alone tomorrow. The new installation included the replacement of 70 telephones, the installation of 3 big screen monitors and streamlining of a very busy rack room, reducing the number of cables by about a third. This was carried out over a single weekend, with a smooth segue into training, provided by Armstrong Bell, when employees arrived on Monday.